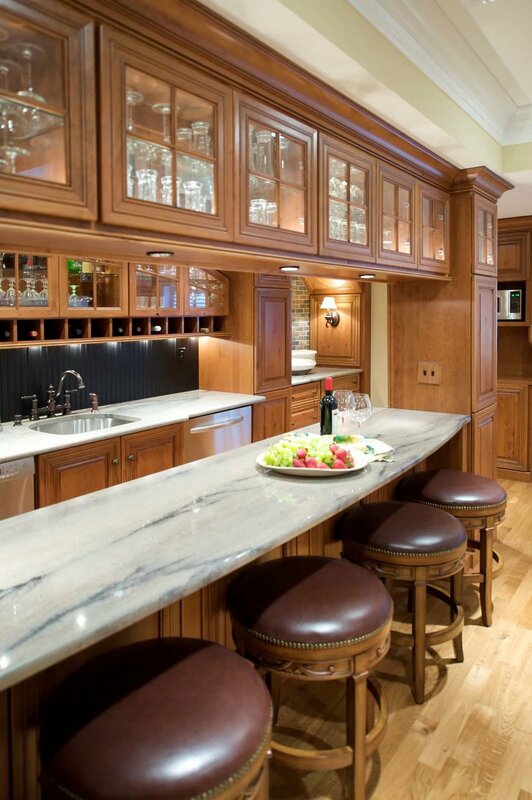 Knotty alder cabinetry, white marble countertops, and architectural details re-create the look of a classic pub in this home bar in the Radnor Hunt area of Philadelphia. 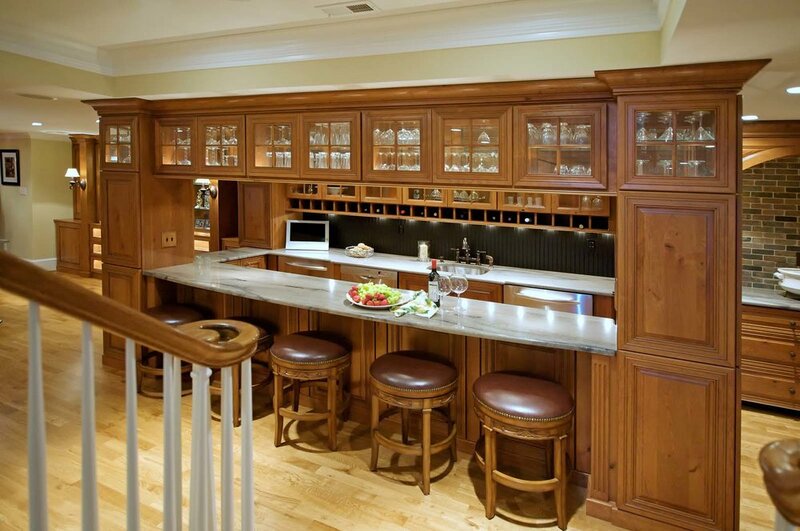 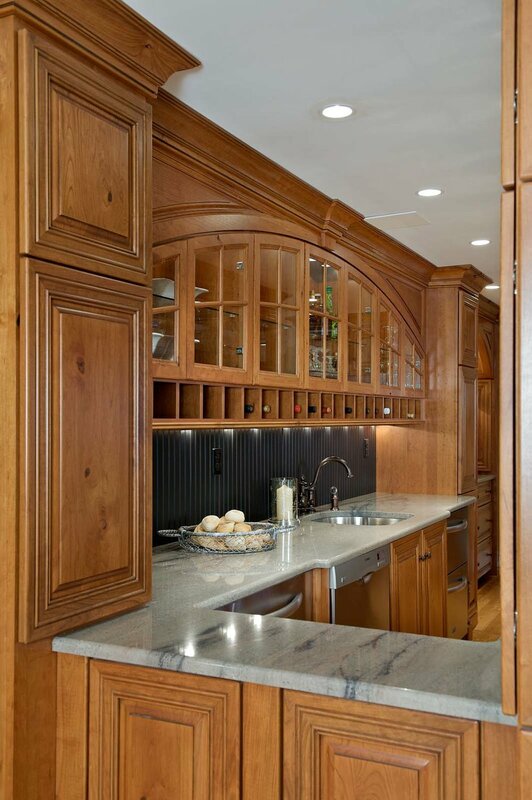 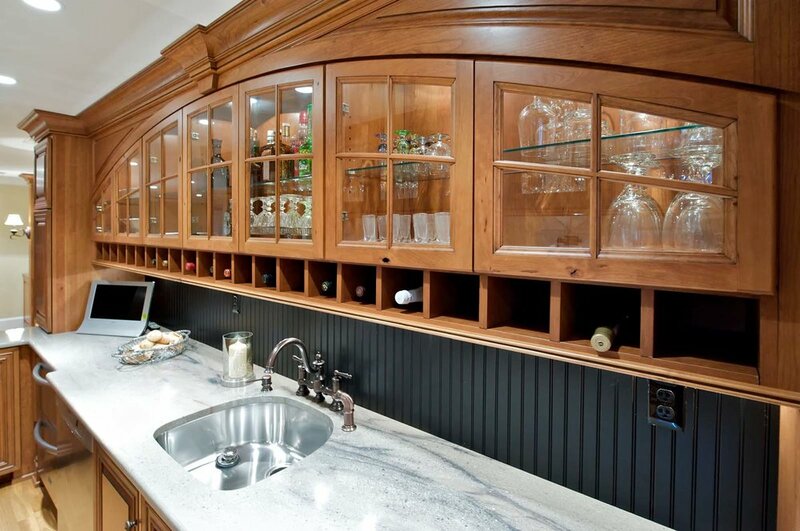 Curved cabinet doors with glass inserts mimic the home’s eyebrow windows and add punch to the back of the bar, while Sub-Zero undercounter refrigerator drawers, a KitchenAid dishwasher and GE microwave ensure full functionality. 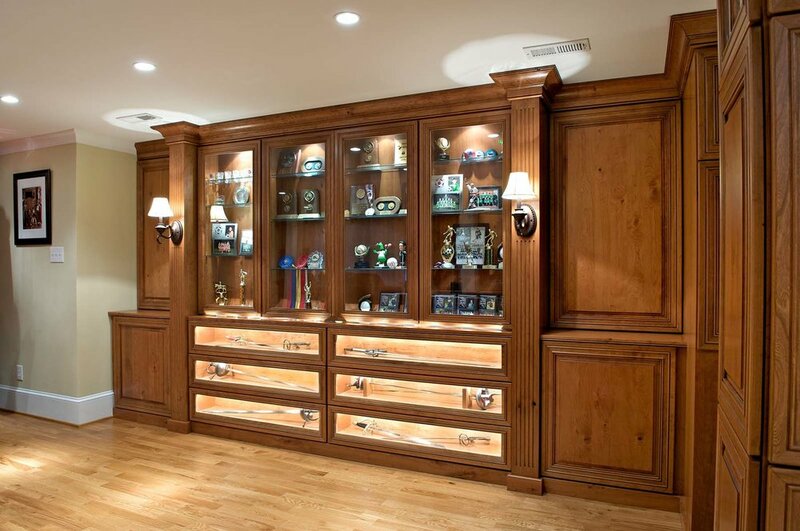 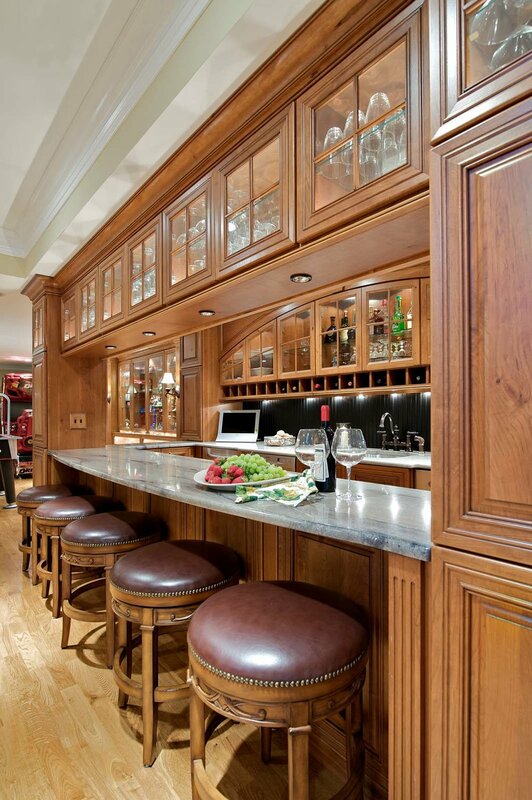 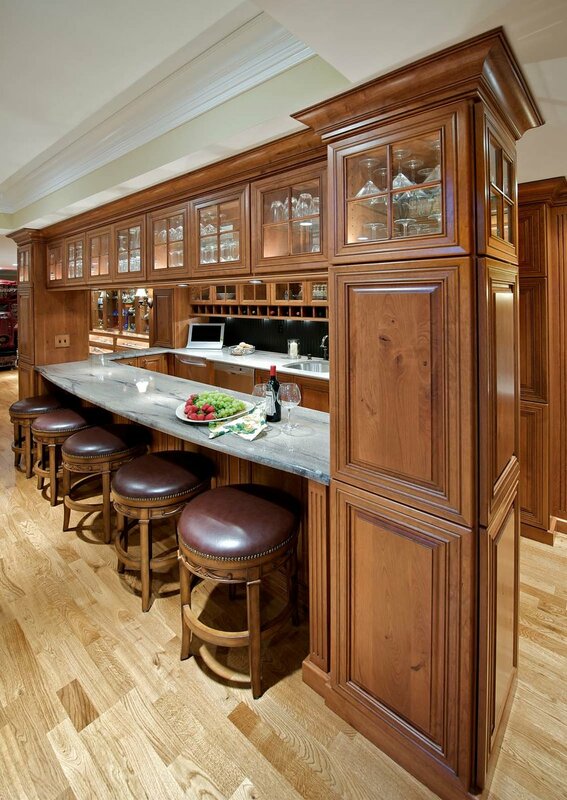 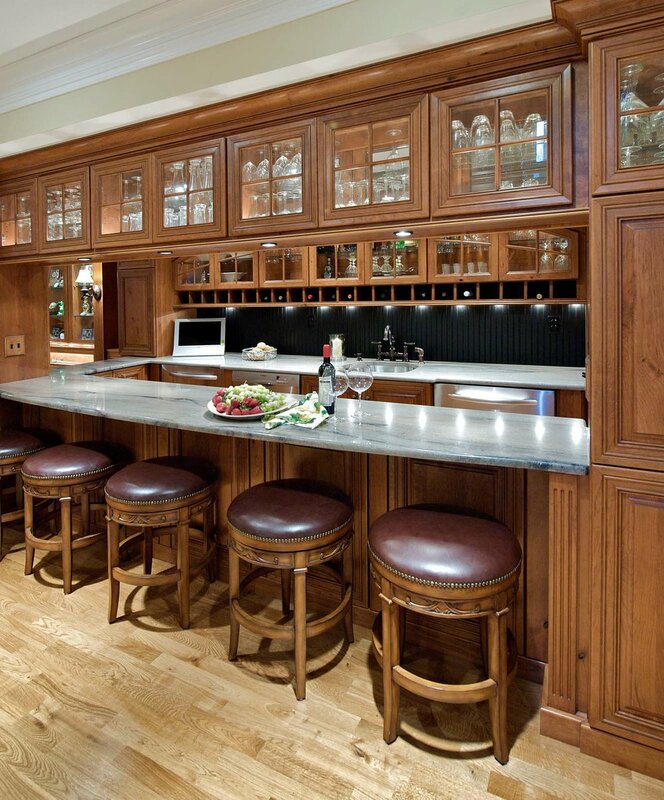 Adjacent to the bar, a custom unit with integrated lighting displays sports trophies and includes pullout drawers to showcase swords.